Ebonheart Oracle is a legendary Willpower creature card. It is part of the Houses of Morrowind expansion. 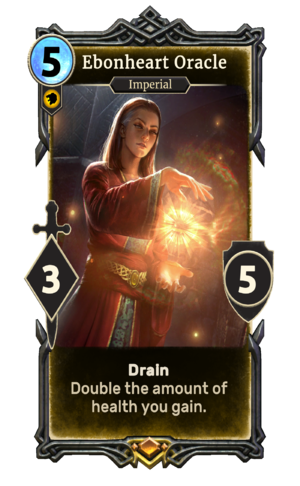 This card likely depicts Lalatia Varian, who first appeared in Morrowind as an Oracle of the Imperial Cult, located in Ebonheart. This page was last modified on 1 March 2019, at 23:42.